Karwa Chauth is an important festival for every married Hindu women as she does fast often nirjala from sunrise to moonrise, praying for the long and healthy life of husbands. On this day, mother-in-law buys a Karwa Chauth gifts for her daughter-in-law and showers the blessings of blissful married life. Actually, this practice is a ritual of the occasion. So, go for it! 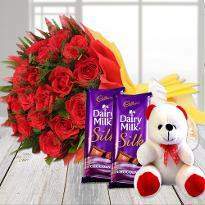 Order Karwa Chauth gift for daughter-in-law using the hassle-free online delivery of it. 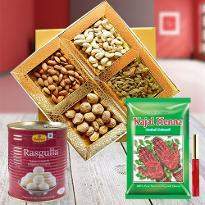 Even if she is living far, then send Karwa Chauth gifts along with your blessings to your daughter-in-law. May this day brings more happiness in your relation. Karwa Chauth is a wonderful festival that expresses unconditional love for spouse. It is an occasion that is purely dedicated to husbands. Women keep fast to assure the longevity and prosperity of their husbands. The festival is so hard that women not even drink water from the sunrise to moonrise. This festival is also meant to strengthen the bond between mother-in-law and daughter-in-law(Bahu). The mother-in-law and daughter-in-law bond is enclosed with boundless love, care and concern from both sides. Karwa Chauth is the perfect time to express your adoration and care towards your daughter-in-law. Shower your love and adoration on her by presenting a gorgeous Karwa Chauth gift to your daughter-in-law(Bahu). 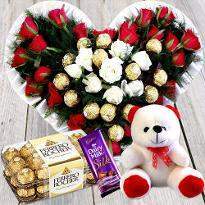 Gifts are the token of boundless love, care and affection. 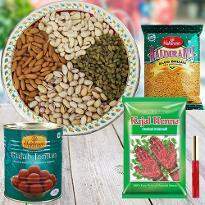 If you are looking for Karwa Chauth gifts for daughter-in-law then you are at the right platform. 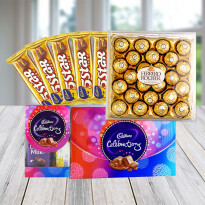 Winni is here to provides you the huge collection of online Karwa Chauth gifts for a daughter-in-law. 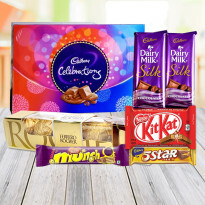 So, shop for the best Karwa Chauth gift and present to your Daughter-in-law(Bahu). 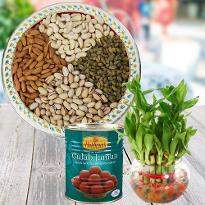 Your daughter-in-law will surely be happy when she will receive such a gorgeous gift from you. 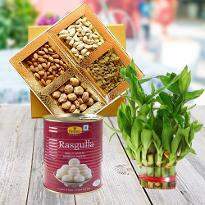 So, delight her by presenting a delightful Karwa Chauth gift. When it comes to Karwa Chauth, it is one such divine occasion that showcases the real essence of Indian cultures and rituals. This occasion is a commemoration of the divine bond shared between husband and wife. Being the token of love and expressing the deep care for each other, this is the most vital festival for all the married women. This festival is also meant to enhance the relationship with the daughter-in-law(Bahu). 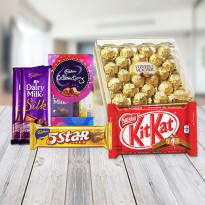 If you want to surprise your daughter-in-law on her first Karwa Chauth then gifts are the best choice. 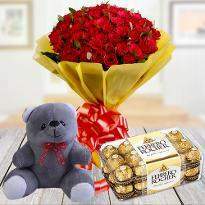 Gifts enable to add more warmth and happiness in the relationship. It's a token of immortal love and affection. 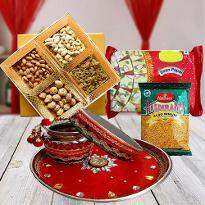 Karwa Chauth is one such occasion that provides you the opportunity to become the best friend of your daughter-in-law. 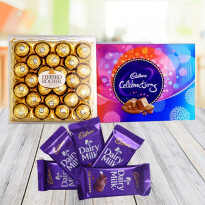 Make her first Karwa Chauth full of happiness by presenting a wonderful gift to her. Gifts represent friendship. They are the token of eternal happiness. 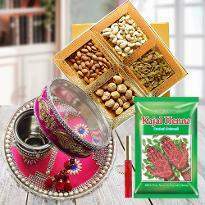 The magical power of Karwa Chauth gifts will surely bring a huge smile on the face of your daughter-in-law. 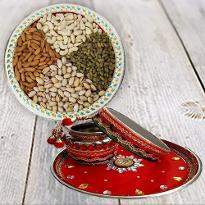 So, choose the best Karwa Chauth gift for your daughter-in-law(Bahu). 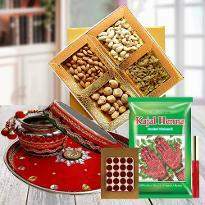 Explore our collection of Karwa Chauth gift for your daughter-in-law(Bahu) category and buy a wonderful gift for your gorgeous daughter-in-law. It's not easy to win the heart of any lady. However, there are some of the unique gifts that can surely delight her. 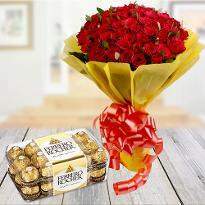 Some gifts are so pleasant and fascinating that they can win anyone's heart. 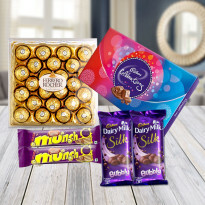 Winni provides amazing Karwa Chauth gift ideas for daughter-in-law so that you can surprise your daughter-in-law(Bahu). 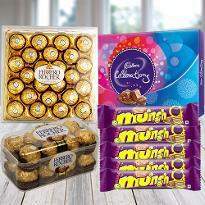 Flowers, sweets, dry fruits and many more gifts are available at Winni that can amaze your Daughter-in-law. 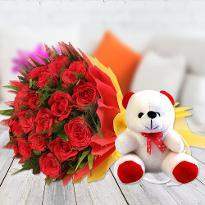 You can gift a bouquet of flowers in the early morning. 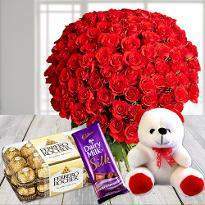 This gift will refresh her soul and give a wonderful start to her day. 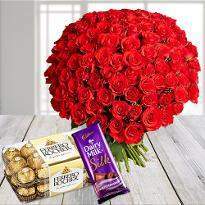 Different type of flower arrangements are also available at Winni. 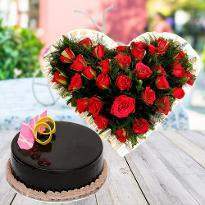 Whether you want bouquets, bunches, heart-shape arrangements or tier arrangements, here you will come across all. 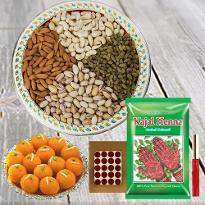 Apart from flowers, you can present cosmetic gifts like sindoor, mehndi and bindi. Winni has great ideas for Karwa Chauth gifts that will surely delight your Daughter-in-law(Bahu). 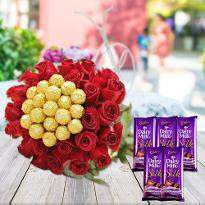 So, visit Winni and grab the best Karwa Chauth gifts for your daughter. Daughter-in-law is the most special person in your life. She is the one who takes cares all the needs and wants of the family members. She is the one who takes cares of everything when you are not available at home. She takes cares of your son as well as the members of the family. Karwa Chauth is the occasion on which you can surprise your Daughter-in-law(Bahu). It's the perfect day to say thanks to her. 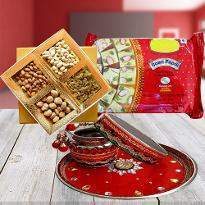 Send Karwa Chauth gifts to your daughter-in-law and convey your blessings and happiness to her. 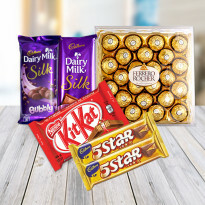 Whether you are living in another city of India or any other part of the world, Winni provides online delivery of Karwa Chauth gifts so that you can order and send Karwa Chauth gifts to your daughter-in-law(Bahu) from any part of the world. 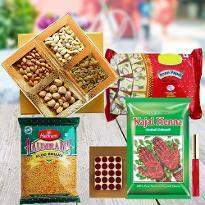 Convey your well-wishes and blessings to your daughter-in-law by ordering and sending Karwa Chauth gifts to your beloved daughter-in-law. Winni understand the relationship between Saas - Bahu. 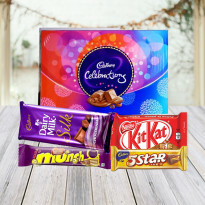 That's why we also provide same day delivery, Earliest 4 hours delivery, midnight delivery and express delivery. 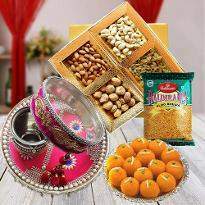 Now, feel free to place your order for Karwa Chauth gifts for the daughter-in-law(Bahu).